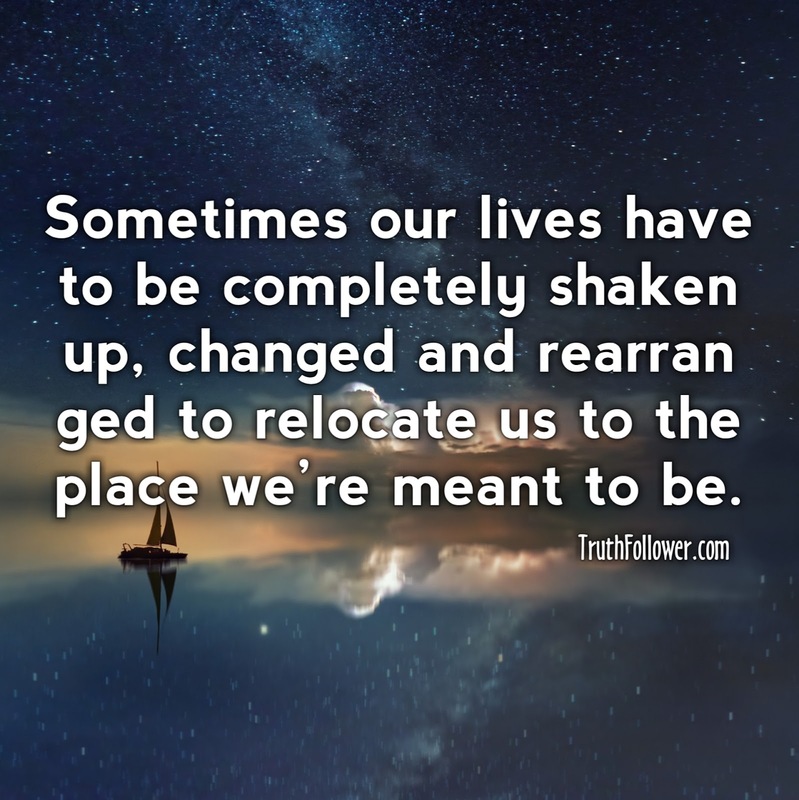 Sometimes our lives have to be completely shaken up, changed and rearranged to relocate us to the place we’re meant to be. When people are protecting something truly special to them,they truly can become as strong as they can be. 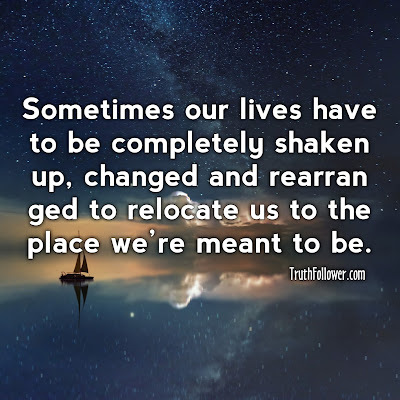 "People generally fear change, but sometimes it's just what we need in order to grow. Success doesn't come easily and painlessly." The place we're meant to be picture/image is an Inspirational Stuff to Inspire and Motivate You. You can download pics by just clicking on the Images. Thanks for visiting Truth Follower an online place for huge collection of inspiring pictures, quotation, and Sayings Images. If you like The place we're meant to be, Please Share with friends and family on Facebook, Twitter, and Pinterest.